They slipped and fell and they climbed over massive snow banks, but Chicago Public Schools students headed back to class Wednesday after a winter break extended by two days due to dangerously cold temperatures. "I'm happy because my daughter will be happy to see all of her friends and start a new routine again. But it was good to have a good break," mother Natalia Aicardi said outside Franklin Fine Arts Center in the city's Old Town neighborhood. "It was way too cold." The extra days off weren't free, however. Students will be required to make up the days later this year, CPS spokeswoman Keiana Barrett said. Classes were canceled Monday and Tuesday as dangerous, sub-zero temperatures kept families huddled inside baking cookies, watching movies and playing with toys and games received at Christmas. "We did not leave the house for the last 48 hours. I heard it was pretty bad so we just kind of took everyone's word for it and stayed in," said Tara Robertson. While students and teachers were told to stay home, some building engineers were tasked with checking boilers and ensuring heating systems kept working properly for when students returned to class. 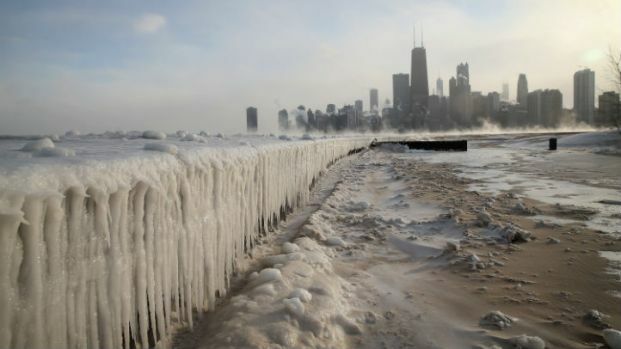 "At CPS, the safety and security of our students is a top priority and was the greatest factor in our decision making to close schools during the extreme winds and cold," schools chief Barbara Byrd-Bennett said in a statement. The closures didn't come without a bit of confusion, however. District officials over the weekend initially said classes would be held Monday despite the cold. That decision drew fierce criticism from the Chicago Teachers Union.